37 year old Neil Pullen’s affair with this RD50 began two years ago when he bought a Yamaha DT50M as a little bit of fun and also as a practical machine for his wife Sarah. Being a bit short in the leg department the DT seemed the perfect choice for her to get her biking experience upon. Having lavished the DT in new parts costing many hundreds of pounds the novelty of the 45 mph machine soon wore off for Sarah who then graduated on to a Yamaha TW125 leaving the by now immaculate DT50 to sit in the garage and later to be sold. This led Neil to search the Internet looking for more fifty fun which he found in the form of a supposedly tidy RD50 for sale on eBay, not that he is short of machine upon which to play being the owner of a mint RD200DX as well as an ultra modern Honda CBR600RR. 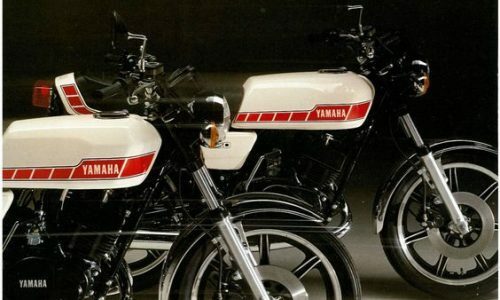 Having owned an RD50 when he was sixteen, subsequently stolen a few months after, the appeal struck home immediately and, gazing at the screen through rose tinted specs, put in a bid. Moments later he was the owner of the Yamaha and pretty quickly afterwards shot up to Scotland to collect it, the trouble is the amazing effects of the spectacles had worn off by this time and Neil was left with a very sorry looking example of the breed not at all similar to the well taken pics seen on his computer screen. The bike was a German import not yet registered in the UK complete with the pushbike like electrical fittings, single filament bulb and a thumb-operated cycle bell, as required by the laws in that country. On the plus side it did run and it was soon stripped down for shot blasting and powder coating, courtesy of Redditch Shot Blasting. With the job done the it was asked if the components could be displayed on the companies stand for the CMM Stafford show in 2003 just to illustrate that they could do superb work on smaller machines as well a bigger bikes. Pretty soon the little bike was attracting interest from all around, Robin Melmoth from the air cooled RD club expressed interest in having the machine grace the clubs stands the following year and that was it the restoration proper had begun. 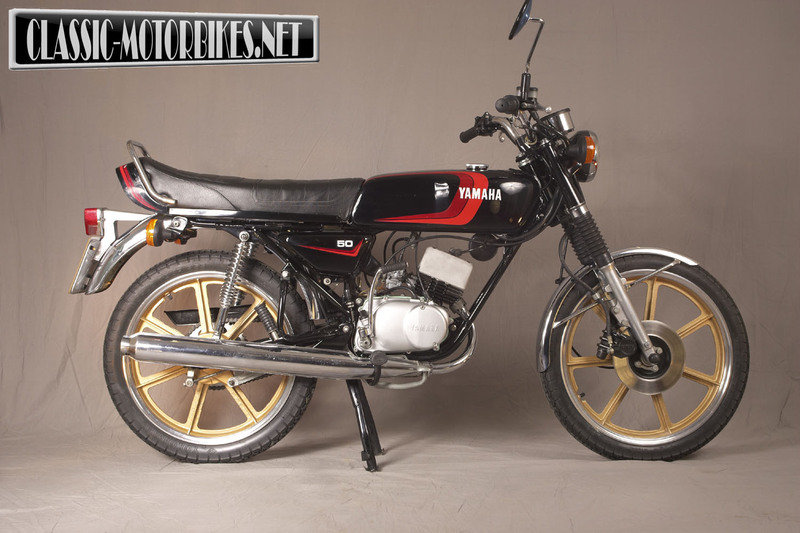 The rarity of the RD50 soon dawned upon Neil who set out to restore the machine to the better than new condition seen here. Many new replacement parts were sourced and it appears that, like the very best of restorations, he hasn’t kept too close an eye upon the cost of the project preferring to enjoy the task in hand. 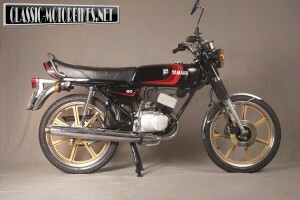 Since then the RD50 has been a regular show attendee stealing the awards at many, and taking the centre stage at most in particular the air cooled RD clubs stand at both the BMF and the Classic and Motorcycle Mechanics show at Stafford of that year. With so much focus placed upon the Fizzie one can forget the delightful machines that was around the during period and that is one job this superb RD can do. As Neil says “I suppose I really must thank Robin and Redditch Shot Blasting for their help, without them this little thing would have sat in the garage gathering dust and perhaps no one would have seen it. I hope those that have seen it have liked it and that maybe it brought a few memories of their moped days back”. 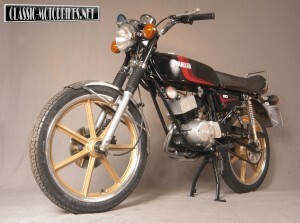 Visit Classic-Motorbikes.net's profile on Pinterest.